One of the things holding 3D printing back is the lack of Application Development Consultants. Imagine the dawn of the asphalt age, bitumen production increases as maps are filled with squiggly lines where fields once stood. Cars roll off of vastly expanded production lines while workers who built them on cue, queue in lines for new automobiles. Where do we see the constraints of this automotive revolution? We don’t really see them at the time, just like we can’t fathom the effects. Decades on suburbs emerge, nations have changed and the citizens of the first world are all connected by a web of white lines on hardened petroleum, a new future being patrolled by cars propelled of earth’s crust cured dinosaur. We are, I believe, at the forefront of just such a revolution. But, rather than connecting all the points of the known world we will connect all the points of our imaginations with the makable. All our dreams unmade will become things. We have machines and materials being pushed by millions in investment. 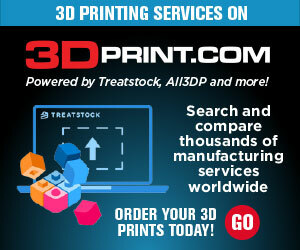 New 3D printers, 3D printing technologies, and applications emerge daily. 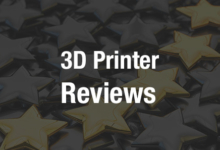 Many companies are trying to use 3D printing for manufacturing and are exploring many uses of the technology in the supply chain. But, what apart from institutional decay and inefficiency is holding them back? If we go back to our automobile example, and truly by now as allegories go if it were a horse and carriage the horse would have long been whipped to death, what is lacking is driving instructors. We can build the machines and making the materials is ramping up, we have designers that are learning and companies that are exploring. Excited business development folks have filled their powerpoints with more hockey sticks than the NHL. Everyone who dares think knows that 3D printing will change a lot of things in many industries. The hype may have subsided but now the wave of adoption is being pushed behind closed doors. Sadly these companies know that the road to the future is there but maybe don’t know that they can’t drive. This is especially the case with those being ‘helped’ by consultants that perhaps are good at consulting but have no industry knowledge to speak of let alone practical experience with commercializing our technologies. A comedy of Excel, these limited Value chain morons embarrass themselves to no end. My favorite thing applied to those that perhaps should stick to hugging clouds or helping your local government with its blockchain challenges in, “they don’t even know how to ask the right questions.” Imagine asking an abstract expressionist used to dripping paint everywhichway to make a subway sign legible to thousands. The bull excrement artists are indeed artists but we need those that can actually teach and explain, not mystify. Meanwhile, I think I’ll place my trust in a sign maker who is paid to make something that points people to the right way rather than a tech term maker who is paid to play buzzword bingo. Image: Tobias Hase. A portion of the Additive Minds team in Krailling near Munchen. Fabian is the one in the charcoal suit. Happily, there are a few consultants in our corner who do actually know what they’re talking about. These people are called Additive Minds (there are a few others as well). Additive Minds is an academy, a series of demo locations and consulting services geared toward letting customers industrialize 3D printing for manufacturing. Born from laser powder bed fusion giant EOS these consultants are helping companies go from a standstill towards driving towards the future. We spoke to Fabian Alefeld of Additive Minds to find out more. Give me an example of a project? Laser Powder Bed Fusion Spare parts for Daimler Evobus, notice the textures and surface finish. “With Daimler Evobus, Additive Minds proved that manufacturing spare parts additively can create a positive business case for OEMs by simplifying the spare part supply chain. Here, Daimler and Additive Minds screened a portfolio of more than 300,000 parts and identified 2,000 metal and polymer parts that could be produced additively. In the current first production stage, Daimler is 3D printing 20 of those with EOS technology. Within such projects, we are keen to transfer as much knowledge as possible – this means, that the next part screening and application development phases within Daimler can happen without the support of Additive Minds. What’s the best way to take a company from knowing nothing about 3D printing to being able to use it for manufacturing? What are some of the key institutional barriers to adopting 3D printing for manufacturing? “Within organizations, there’s still an experience gap that exists with AM technology and not fully understanding how to best implement AM into current operations. Comments like “we tried this a few years ago and it didn’t work – AM is not ready” are often said. We work to overcome these mindsets by developing first concepts and a business case to show that the technology has matured from an engineering point of view and has become more economical to convince the purchasing department. What is tricky if I want to do manufacturing with AM? “The challenge in implementing AM is educating people so they can think in a new way about manufacturing and then transforming production processes. Educating people sets the basis, allowing them to think differently and removing barriers in their way of thinking to completely reimagining manufacturing. What are product categories and industries that are ripe for AM adoption? Manual labor is still a considerable component of 3D printed parts, how can we reduce this? I keep thinking that each and every technology will have its own ideal part and application. Do you agree? Do you think that SLS (powder bed fusion) will be mainly a technology for medical applications or be used more broadly in manufacturing? How long would it take a company to adopt metal printing from knowing nothing to making their first parts? “We need to distinguish between making first parts versus serial production in a restricted industry. For making parts, we have educational programs that allow manufacturers to build their first parts independently on EOS standard process parameters within two weeks. How do you train people? Who are your trainings for?